According to all the feedback received, the Novel Conference was a success on all counts. 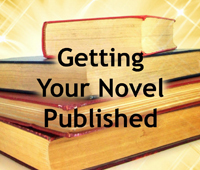 All attendees who wished to pitch their novels to an editor or agent were able to do so, the speakers were both knowledgeable and entertaining and the proceeds exceeded the cost. 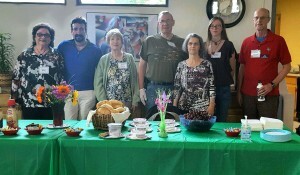 Pictured right are Novel Conference Volunteers: L-R: Joanne Bodin, Dino Leyba, Jeanne Shannon, Ernie Leggett, Edith Greenly, Kimberly Mitchell, and Sam Moorman. We couldn’t have put together such a great conference without the help of our wonderful SWW volunteers. A big thank you goes to the following people for their help and flexibility in putting this conference together. Kathy Wagoner, Bobbi Adams, Melody Groves, Dennis Kastendiek, Ernie Leggett, Sam Moorman, Don Morgan, Rose Marie Kern, Don DeNoon, Dino Leyba, Kimberly Mitchell, Larry Greenly, Edith Greenly, Jeanne Shannon, and Rob Speigel. A special thank you to Bookworks for setting up a table during the con-ference. Also to Jason’s Deli for providing the delicious box lunches. Thank you to Rob Spiegel for making cookies for our afternoon snack. Thank you to the Hilton Garden Inn Albuquerque Uptown for housing our keynote speakers and finally thank you to Chez Axel Restaurant for opening up exclusively to SWW on Friday evening. You managed to select some very committed and resourceful volunteers for the 2016 Novel Conference. But you know, without your tireless effort to manage all the details, there could have been no conference. So my sombrero is off to you! Thanks for everything you did to ensure the conference went smoothly. You rock! Thank you all for your comments and your support. Dennis apologies apologies apologies for the misspelling of your name. Don’t worry. Sometimes I don’t spell it right.